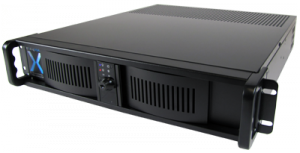 The new exacqVision A-Series IP network video recorders (NVR) now have 50% more maximum storage capacity. The A-Series recorders provide an ideal balance of performance, reliability and capacity for mid-sized recording applications. 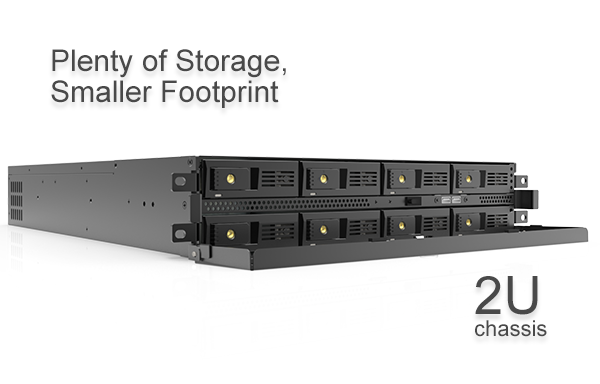 The new A-Series IP recorders eliminate the need for purchasing multiple servers, reducing the cost of ownership. Each A-Series IP NVR records up to 64 IP cameras, includes 4 IP camera licenses, and stores up to 48TB of video. 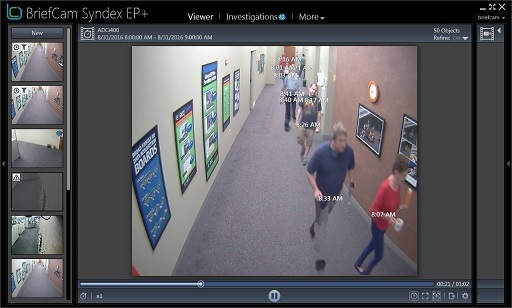 Learn more about the exacqVision A-Series IP recorders. See all the new A-Series models available. 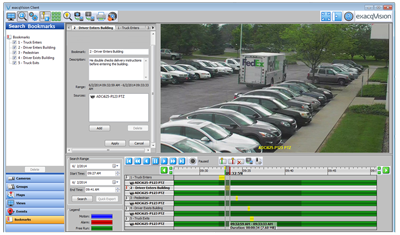 We are pleased to announce several significant performance improvements to the A and Z-Series exacqVision hybrid and IP camera servers. 50%â€“180% are achieved in A-series servers. This enables storage of higher frame rates, larger image sizes or higher quality video, all at no price increase. The A-Series and Z-Series servers were recently upgraded to include 4TB hard drives for storage, doubling the storage capacity of the entire product line. 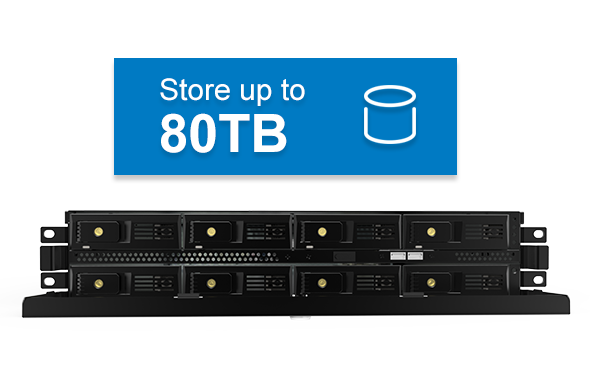 Hard drive configurations from 500 GB to 80 TB are now available. The updates to the server processor and the new operating system has also contributed to faster local client display rates and faster video search times. 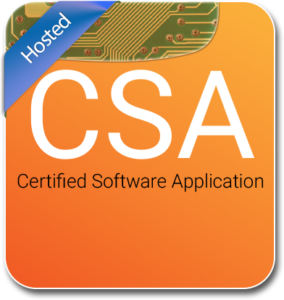 Z-Series servers now have the ability to host Certified Software Applications (CSA) directly on the server. This can also be achieved on A-Series servers with a CPU upgrade. 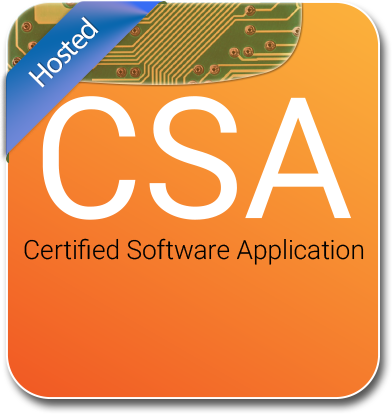 CSA third party applications include license plate recognition software, video analytics, point-of-sale solutions and more. The introduction of 64 bit version of Windows enables double the RAM capacity with A-Series servers as well as providing a more efficient operating system. Visit the exacqVision A-Series page, the exacqVision Z-Series page, or the product catalog for more information.